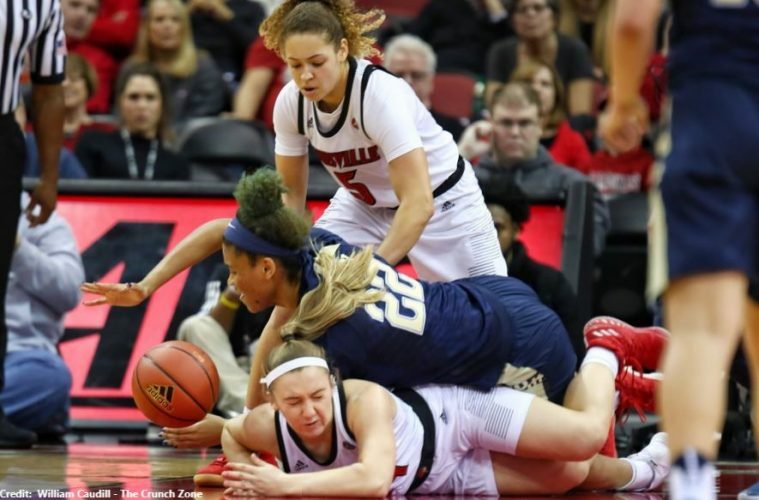 It’s not exactly clear if the Louisville women’s basketball team knew precisely what was on the line in their showdown with Pitt this Sunday at the KFC Yum! Center. Did they realize how strategically important Fort Duquesne was to the whiskey trade? Was it clear that a men’s and women’s weekend sweep of Pitt would guarantee control of the Ohio Country? Perhaps not. But what was clear was that the defenders of the confluence of the Allegheny and Monongahela were no match for the terrific onslaught from the Falls of the Ohio as the Cardinals would claim the river with a 70-42 victory. But what is a company without its captain? 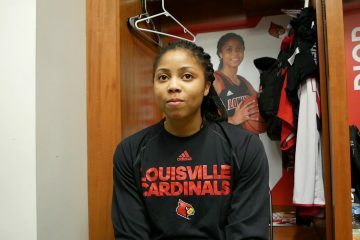 A tweaked knee and an overabundance of caution would keep Asia Durr and her 21.1 PPG average on the bench as sophomore Dana Evans was given command. The next 40 minutes would prove once again that the Cardinals are a dynamic entity, with any player ready to step up at a moment’s notice. And indeed, post-game it became clear that Durr was available if needed, but Walz felt comfortable letting his team handle matters without their chief scorer. Evans would once again prove to be more than a competent leader on an afternoon that featured 16 points, 2 assists, and 7 rebounds. 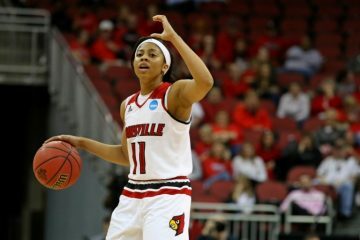 Her ability to shift so easily from the one to the two and back is certainly a tool that Jeff Walz will cherish headed into March. 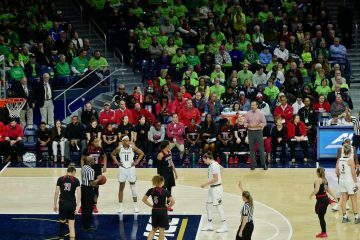 But while the Cardinal’s play was noteworthy throughout, the Pitt Panthers playing up (or down) to expectations certainly played a large role. Pitt’s first basket would come at 9:00 in the first quarter, and they would not make another field goal until the 3:30 mark in the second. Meanwhile, the Cardinals battered the Pitt defense. At one point three Louisville players had more points than the entire Pitt offense. As a clear pattern developed, Jeff Walz began rotating in his secondary squad. 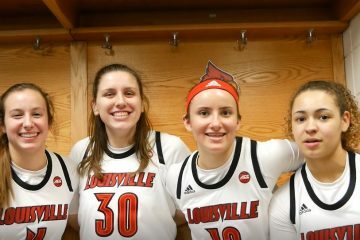 Freshmen Robinson, Robins, and Duvall (redshirt) would all get significant minutes along with once a walk-on, now a scholarship athlete Jessica Laemmle. And against a Pitt team shooting just 14% while being dominated in every statistical category, the Cardinals would find themselves with a 41-12 lead at the half. But as is wont to happen in the fortunes of war, the tables would be turned in the second half. A Louisville team that had dominated in rebounding, turnover margin, and shooting now found themselves at the other end of the knife. It could easily be said that the youth and inexperience of the Cardinal freshmen allowed Pitt to crawl back into the thick of the fight, and indeed Jeff Walz for a time seemed content to see how they handled the situation. But midway through the third quarter he’d seen enough and the starters were sent back into the fray. Pitt’s Bradley and Nelson would step up for their side to lead the way on 12 and 11 points respectively, with 10 of Nelson’s 11 coming in the second half. The Panthers would win the second half turnover margin while nearly drawing a rebounding battle that had been won by the Cardinals with a +16 margin in the first half. Throughout the third and fourth quarters Walz would rotate through his second team and his starters. This proved to be an effective strategy as each time Pitt would push out with a run, the Cardinals would answer back. In the end, the Cardinals would win the first half 41-12 while losing the second half 30-29. We’ll leave you to do that math. Evans’ 16 points would lead all scorers on 4 for 8 shooting from beyond the arc, while Jazmine Jones, Kylee Shook, and Dana Evans would all have seven rebounds behind Bionca Dunham’s eight. The Cardinal’s first half rebounding margin would prove to be enough despite a contentious second half, with Louisville winning the battle for the glass 48-31. But overall, power in the paint was a positive for the Cards with Fuehring and Shook contributing 10 and 12 points respectively. Indeed, all focus now shifts to the Thursday showdown in downtown Louisville. It’s not immediately clear what strategic control of the Ohio Country and a monopolized whiskey trade does for Walz and his squad. We’ll try to get details on that throughout the week. But the second top five showdown for the Cardinals this season comes to the KFC Yum! Center. Get out, get loud. If Walz and crew can knock off the Huskies Thursday, you’d better believe a few whiskeys will be downed in the Falls City.